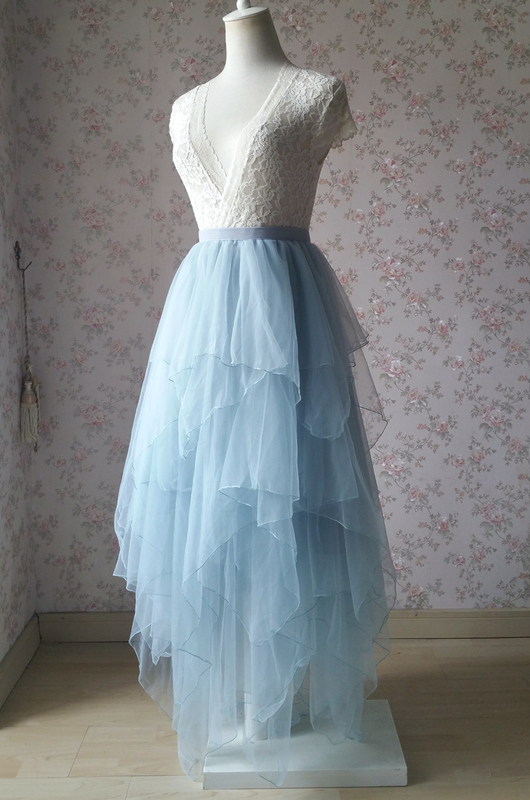 This tulle Skirt is very fluffy with many different length layers, especial for wedding party, bridal shower, photo prop, birthday party and other occasions. This skirt is custom made for any colors and any size. Don't miss it! The production time is usually 10-15 days, and standard shipping time around 10-20 days. If you have any inquiries, please just let us know . 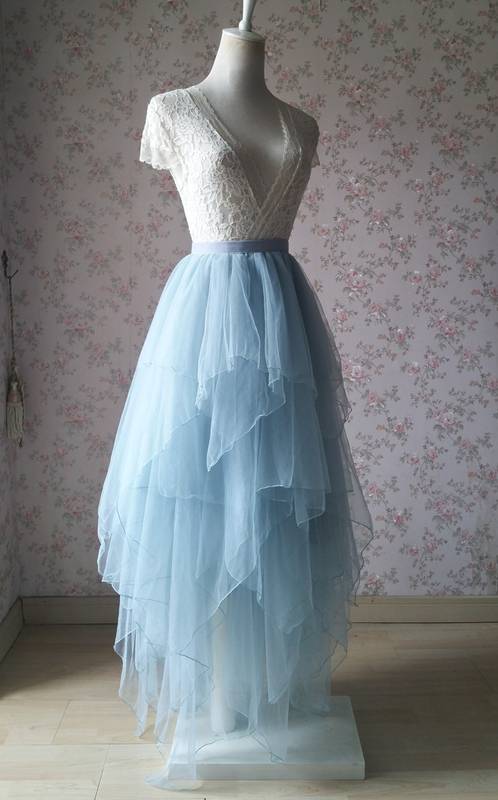 * Color: The irregular tutu skirt in the picture is dusty blue. If you need other colors, please check the color chart. * Rush order accepted. This skirt (included custom order) can be shipped out at least 7 business days. 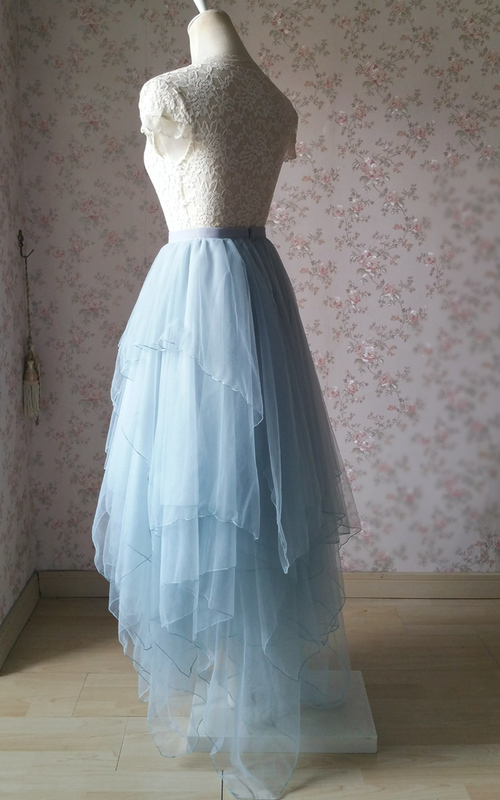 * This skirt is made from layers top quality tulle and one piece of imitating silk satin inner layer, which let the skirt looks so bouffant and fairy. * Full circle. 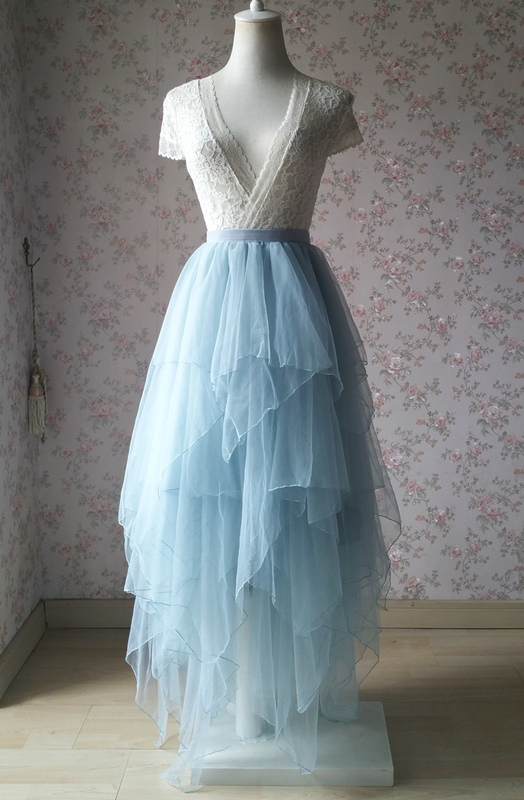 Actually this skirt is needed much more material than usual skirt. - Standard Size. 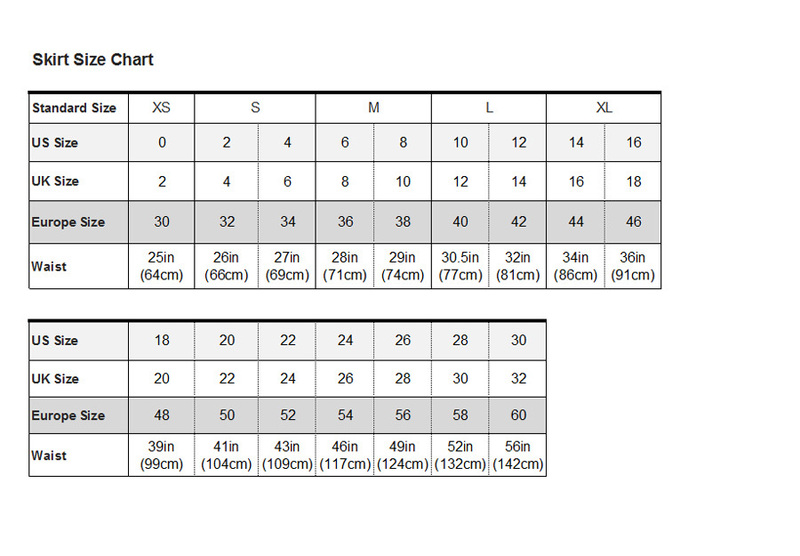 Please check the size chart. 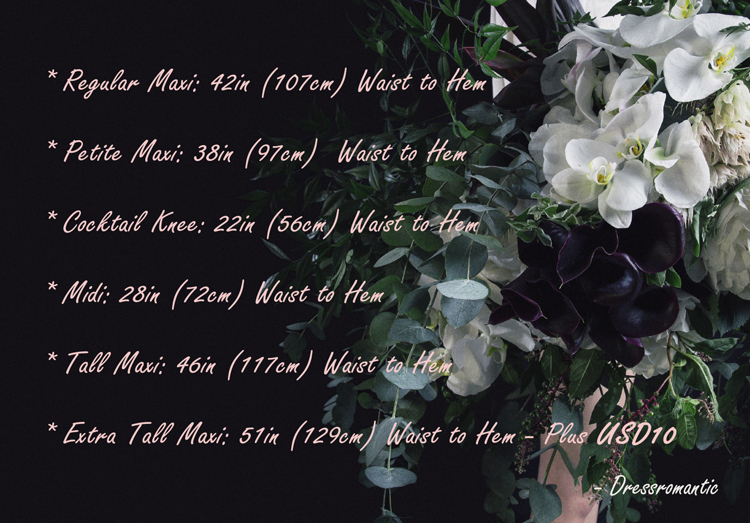 - Custom Size availalbe. 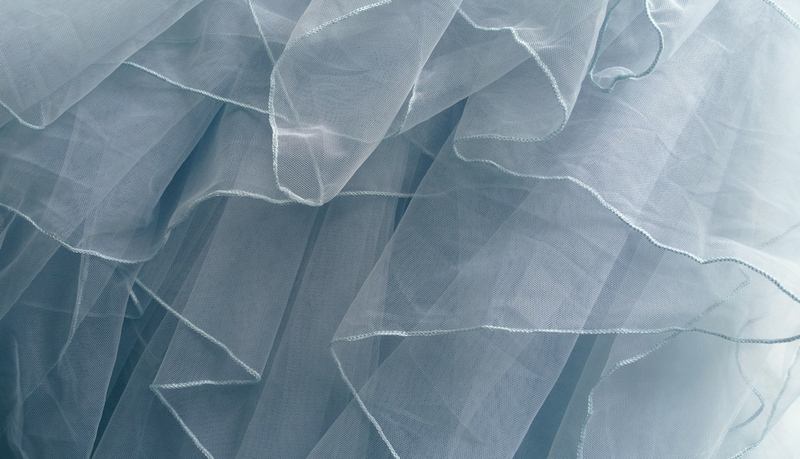 You can custom your tutu skirt with waist and length.